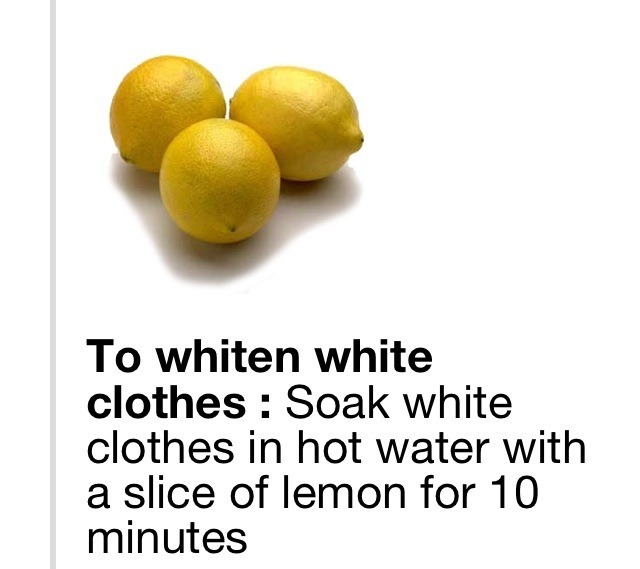 WHITEN YOUR CLOTHES! All Organic, Au Naturel. NO MORE BLEACH! Works like magic! I do this every time I wash my whites now, amazing isn't it? Deodorizes as well as whitens. Don't forget to grab the lemon out before letting the washer run it's course!